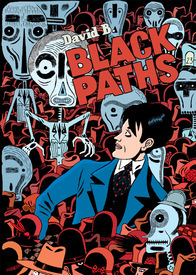 The Copacetic Comics Company | Black Paths by David B. 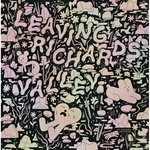 Here we have the latest work to be translated into English by the supremely talented and always interesting Pierre-François Beauchard – better known to comics readers as David B. Black Paths takes us to a unique moment in 20th century history: when poets ruled. In the chaos that arose with the collapse of the Austro-Hungarian empire at the close of the "war to end all wars" – aka World War One – a dispute arose on the border between the apparently irreconciblable Kingdoms of, on the one hand, Italy and, on the other, Serbs, Croats and Slovenes, that centered on the port city of Fiume (now known as Rijeka). So, British and French moved troops in to prevent a military escalation, but, still, no one was "in charge." Into this vacuum moved the Italian poet and provocateur, Gabriele D'Annunzio, who declared himself de facto ruler of the "Free City of Fiume" and managed to pull it off for 15 months, from September of 1919 until his eventual expulsion from power during the "Bloody Christmas" of 1920. These 15 months of "free" Fiume are the backdrop for the action of Black Paths, and it is clearly a setting that plays well to David B. 's strengths. Definitively European in content and distinctly masculine in tone, Black Paths is a full color (colors by Hubert) 128 page work that vividly brings to life this bygone era of casual violence filled with militaristic gangs of ex-soldiers bent on plunder, politicians bent on intrigue and, amidst it all, lovers bent on romance. At the center of the maelstrom of thugs, oddballs, misfits and poets are the writer, Lauriano, who is haunted by his experiences in the trenches during the war, and the singer Mina, who found herself caught up in the whirlwind of events: their relationship is the thread that binds the patchwork quilt of a story together. As always, David B. 's artwork is the star attraction as he once again works his visual magic, blending realism, editorial illustration and imaginative grotesquerie into a unique concoction that is here heightened by Hubert's richly varied palette of saturated colors. Anyone looking for a delicious taste of "the continent" need look no further.